Transform! 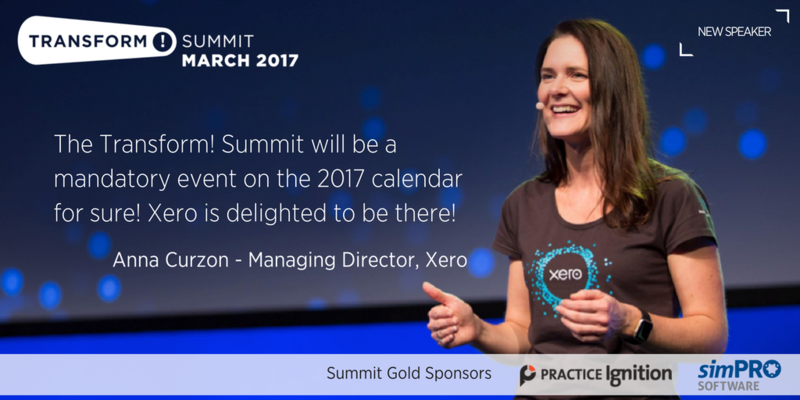 Summit is shaping up to be “a mandatory event on the 2017 calendar” for accountants, as Xero’s Managing Director, Anna Curzon, noted. Anna is joining a range of interesting and informative speakers at Transform!, including Steph Hinds, Viv Brownrigg, Mark Jenkins, South Pole adventurer Kevin Biggar, inventor and social entrepreneur Sir Ray Avery and a special panel of cloud accounting pioneers (read more about speaker topics and bios, PDF). Actionable insights. 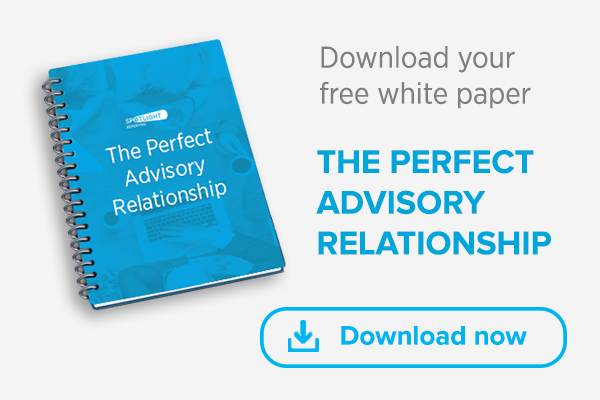 Tips, tricks, and strategies that other accountants have successfully deployed to achieve trusted advisor outcomes and increased fees. Inspiration and direction. The spark and encouragement to focus on a transformative agenda at your practice and to inspire your team on the journey. Spotlight masterclass. Learn from the Spotlight team and power-user Super VCFO’s. Dozens of who will be on-site and wanting to talk. Great connections. This is a gathering of the top cloud innovators, thought leaders and trusted advisors. We’ll talk, drink, eat and learn together. The chance to forge new friendships and business connections is greater than at the mega-conferences. Swag. Now it wouldn’t be a VIP summit without some great swag to take home and enjoy. Tickets are selling fast and we do have capped numbers. Don’t delay, secure your spot at the Transform! Summit today.